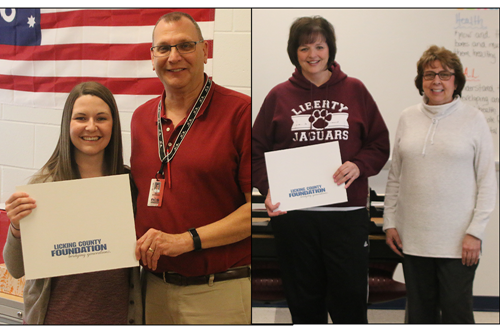 Two Newark teachers will be traveling overseas in the near future after receiving Tibbie Leslie Travel Grants through the Licking County Foundation. These grants were awarded to teachers who plan foreign travel to broaden their experience and knowledge in their particular field of interest. They were also selected for their commitment to bringing the world back to their classrooms in the true spirit of the award's donor, Tibbie Leslie, a Newark native who traveled the world throughout her 30-year teaching career. Classroom Benefit: As a social studies teacher, this trip will enrich Ms. Clark's understanding of cultures around the world, how citizens interact with one another, and how countries function through various forms of governments. This knowledge will allow her to teach her students through a worldview lens, helping young learners become educated and embrace other cultures. Ms. Clark stated, "This travel experience would allow me to talk with my students about the importance of travel. Many students do not get the opportunities to travel abroad, so I would use my experience to show them that it can be done and that it only enriches their lives. I hope to inspire students to further their education, study abroad, or at least take the opportunity to travel and broaden their own experiences." Classroom Benefit: Ms. Talbott shared, "This trip will offer opportunities for me to broaden my world perspective and to learn about cultural differences and practices that influence the health, well-being and community of metropolitan areas, and to see how communities, schools and individuals function and thrive in those cities. Foreign travel offers the opportunity to see new things and opens our minds to the realities of the world while allowing us to deepen our appreciation for our own country/community. That is a valuable lesson to teach children…I hope to be able to inspire my students to work hard and find a way to see and experience the world so that they can have a perspective on life and people and experiences that will enrich their lives and strengthen their character. And, ultimately, make them better citizens in our society." Elizabeth Randolph Leslie, known as Tibbie, was raised in Newark, Ohio. She graduated from Newark High School in 1950 and from Miami University in 1954. Ms. Leslie taught physical education at Withrow High School in Cincinnati for 30 years. She was also a swimming instructor. Ms. Leslie was known for encouraging young people in their endeavors. A colleague said, "Her rapport with the students was good. She liked to have fun." Every summer, she returned to Newark to visit her family then left for a trip abroad. She traveled extensively with a group of educators; going to Europe, South America, Russia, China (three times), Japan, Africa, and many other exotic places. Her learning experiences on these trips were so meaningful that she decided to help other teachers travel. One of her friends said, "She loved the scenery, loved the people and loved to barter…she liked to be part of the action." Ms. Leslie died in 1995 at age 63. She established the Tibbie Leslie Fund in the Licking County Foundation through her will. Since 1999, the Tibbie Leslie Fund has provided over $175,000 in grants to support 91 travel experiences.